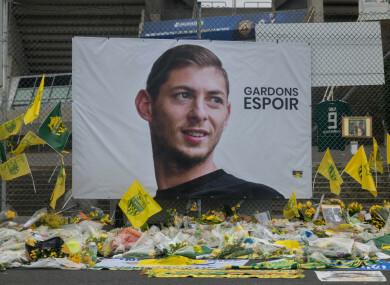 CARDIFF ARE SET to tell Fifa that the £15 million (€23 million) deal they agreed to pay Nantes for Emiliano Sala became “null and void” after he died in a plane crash, a report said on Monday. The 28-year-old Argentine forward was killed when the small plane carrying him came down in the Channel on 21 January, two days after he completed his transfer from the French Ligue 1 side. Email “Cardiff to claim €23 million Emiliano Sala transfer 'null and void' - report”. Feedback on “Cardiff to claim €23 million Emiliano Sala transfer 'null and void' - report”.